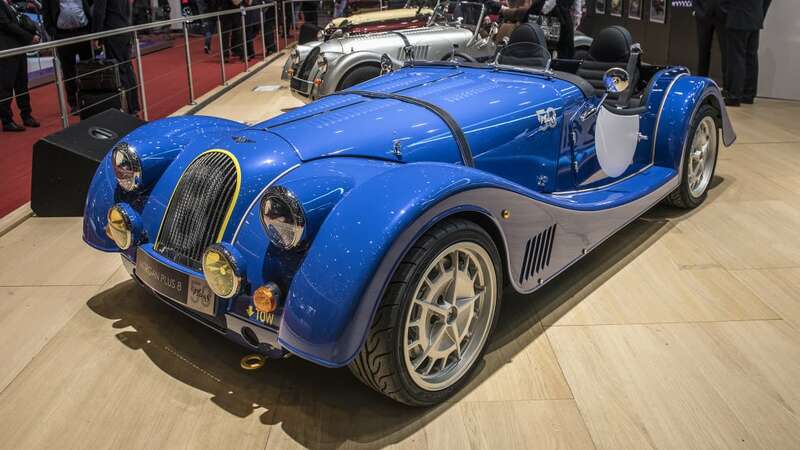 Morgan introduced a special final version of its modernized Aero 8 called the Aero GT, but it wasn't the only special edition Morgan on the stand. 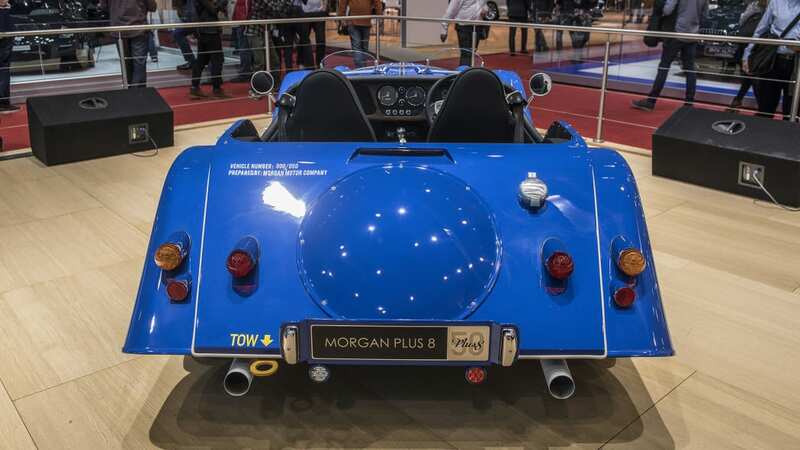 The company also had a special Plus 8 that celebrates 50 years of the first ever V8-powered Morgan introduced in 1968. 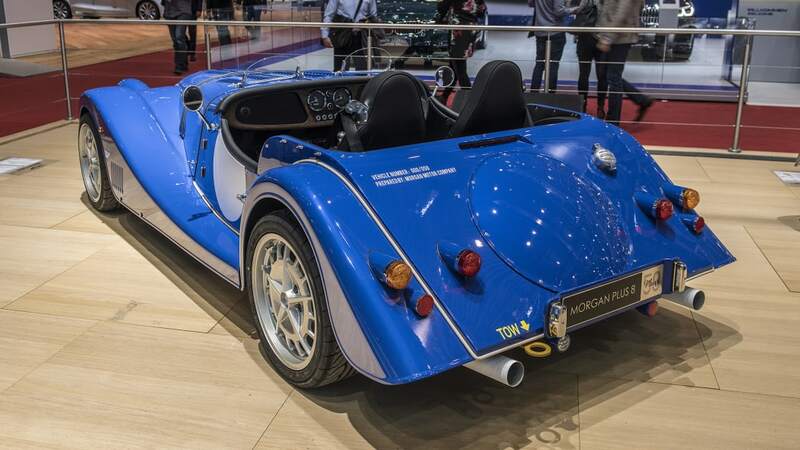 Like most other Morgans, this special Plus 8 has styling that has scarcely changed, and only subtle changes mark the 50th anniversary model as something unique. The hood gets some extra louvers as well as a standard leather strap over the hood. It gets additional driving lights mounted to the front, and the number 8 is painted onto the radiator grille. Custom wheels designed to look like vintage cast wheels from the originals are fitted. 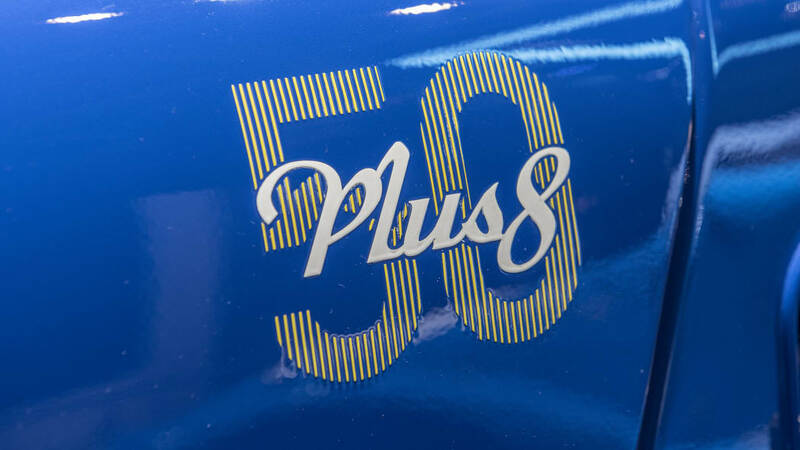 The Plus 8 also gets a yellow accent painted around the grille and 50th anniversary decals. 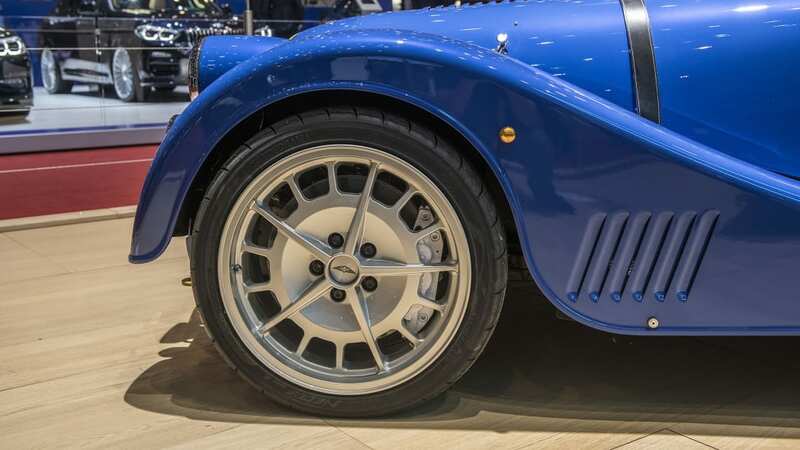 The leather seal between the fenders is a light color, a throwback to the original Plus 8 prototype from the '60s. Two versions of the anniversary car will be available. The one on display is a speedster model with cut down windshields and no top. It's only available in blue. 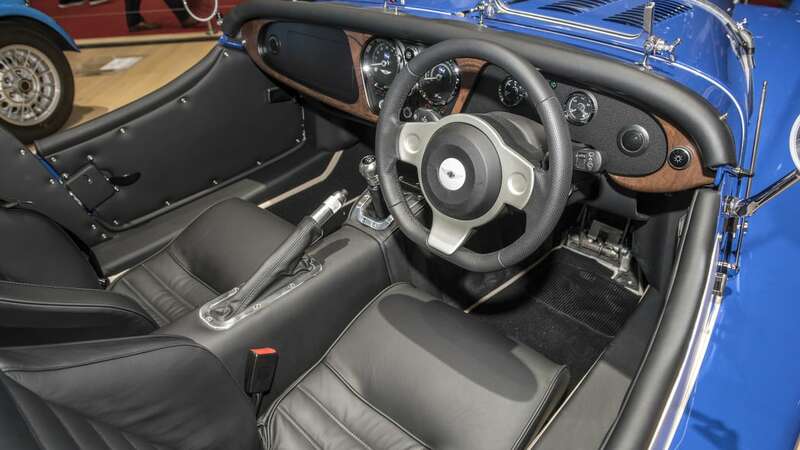 There will also be a normal roadster with a full windshield and folding soft top. That one only comes in British Racing Green. Each one comes with a Christopher Ward watch containing a piece of the original Plus 8 prototype, too. Mechanically there's nothing really new to the Plus 8, but that's fine since the parts are still pretty good. 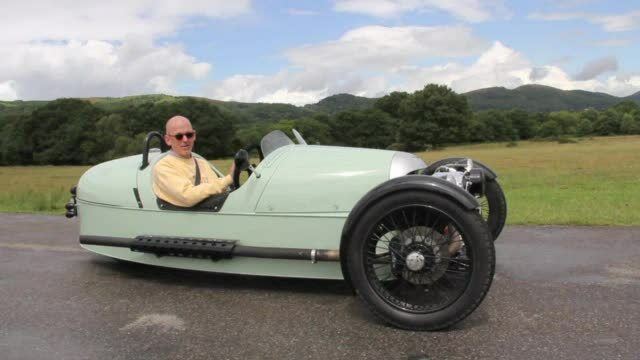 The car features an aluminum chassis and only weighs 2,425 pounds. It's propelled by the same BMW V8 found in the Aero GT, which makes 362 horsepower and 370 pound-feet of torque. This will also be the last Plus 8 to feature this BMW engine. 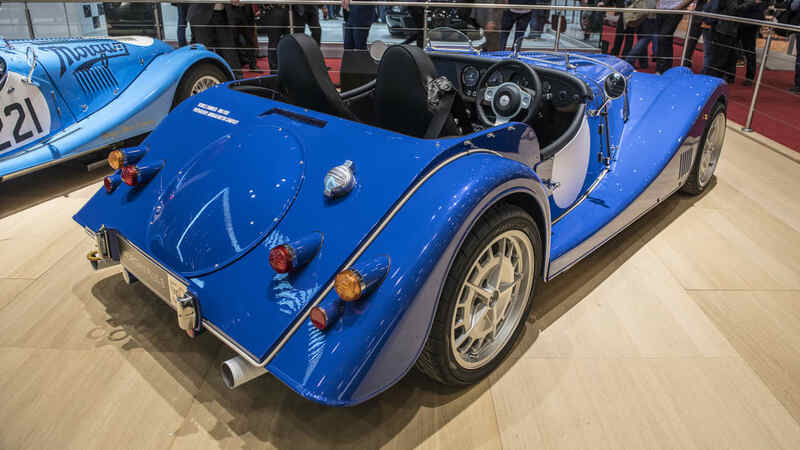 It can be mated to either a manual or automatic transmission sending power to the rear wheels. 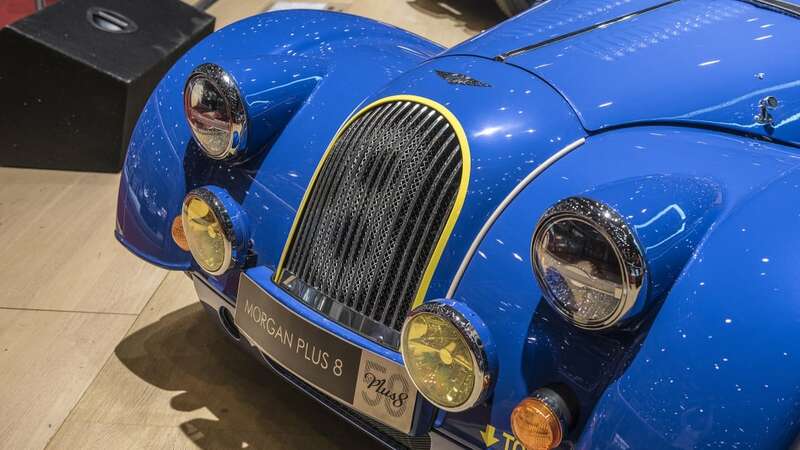 Between the lightweight and V8 power, Morgan claims the Plus 8 will hit 62 mph in 4.5 seconds. Also of note is that these Plus 8s will be available in either right- or left-hand drive. 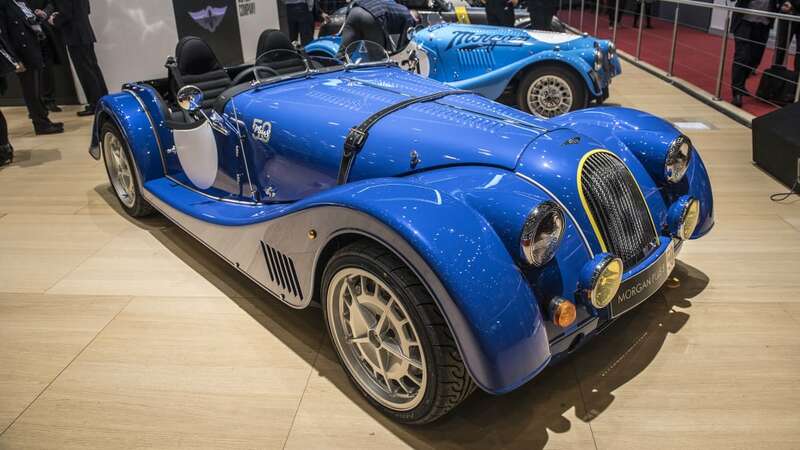 Morgan will only build 50 of these special Plus 8s. 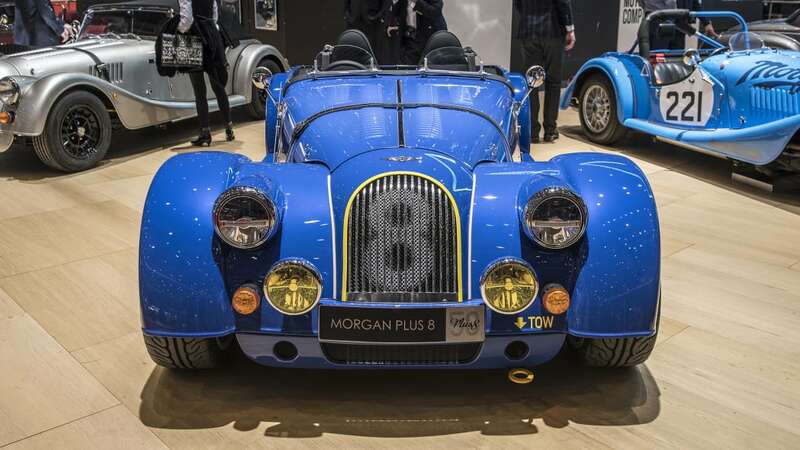 Unlike the Aero GT, which Morgan sold out before it was revealed, the Plus 8s have been allocated to dealers, so they will be available for purchase. 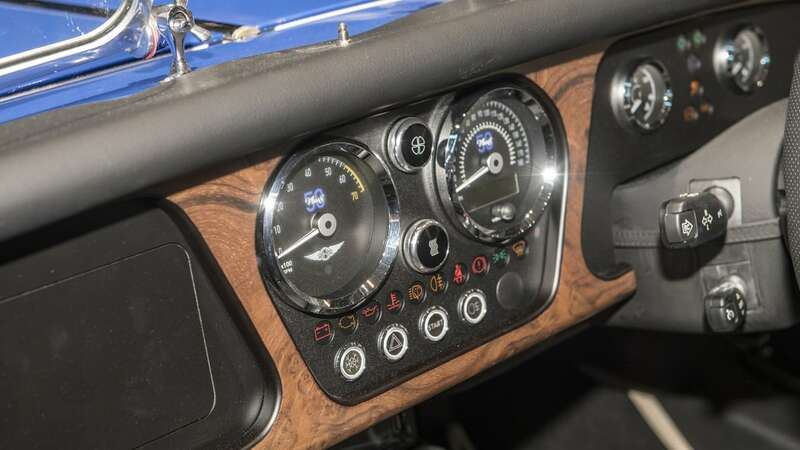 Pricing has been set at £107,500, which comes to a bit under $150,000 at current exchange rates.